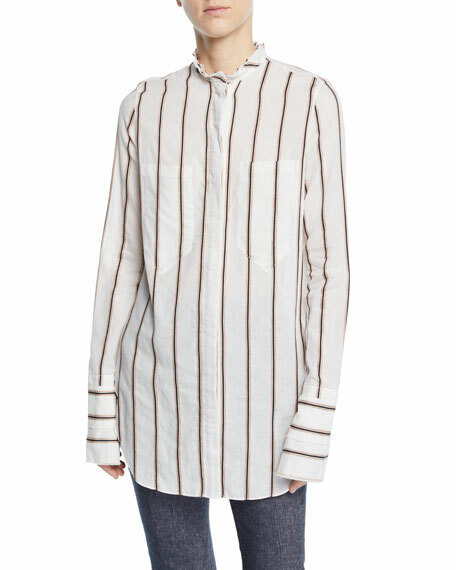 Tre by Natalie Ratabesi "Dopietta" blouse in striped cotton poplin. 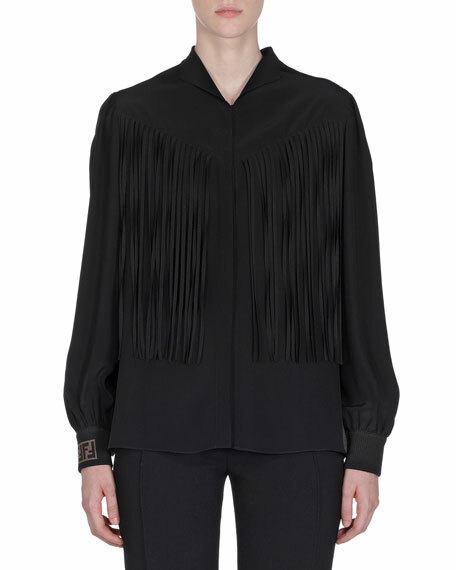 Frilled stand collar; hidden button front. 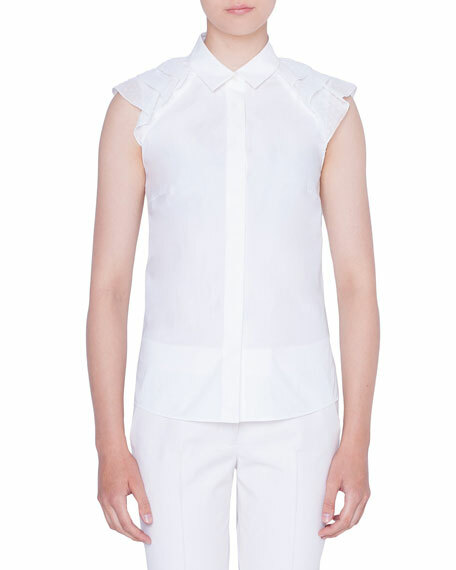 Akris punto blouse in cotton file coup. Kent collar; concealed button closure. Sleeveless. Wave shoulder details. Semi-fitted. Shirttail hem. Cotton. Imported. 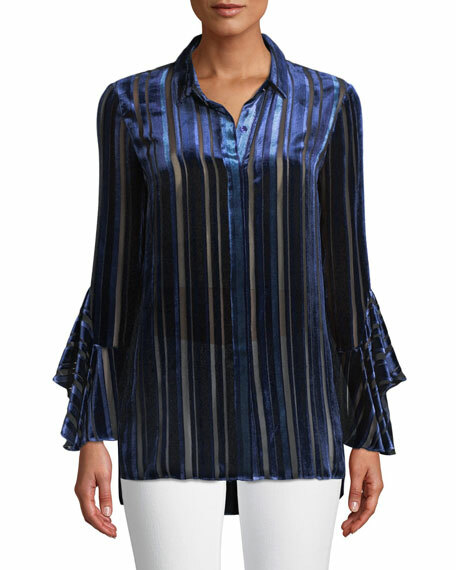 Lafayette 148 New York "Lenno" blouse in streamline stripes with embellished detail. 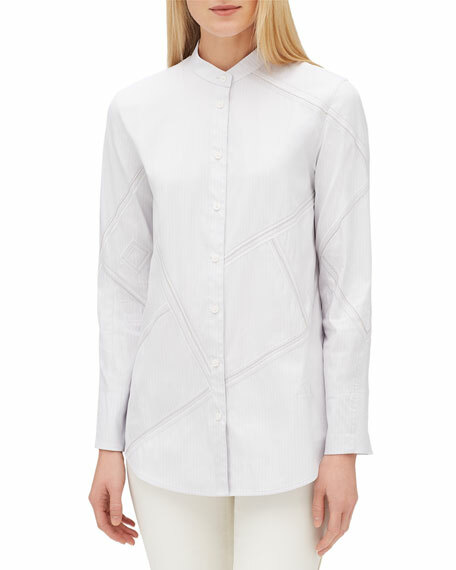 Tab collar; button front. Long sleeves. Yoke seamed back. Semi-fitted silhouette. 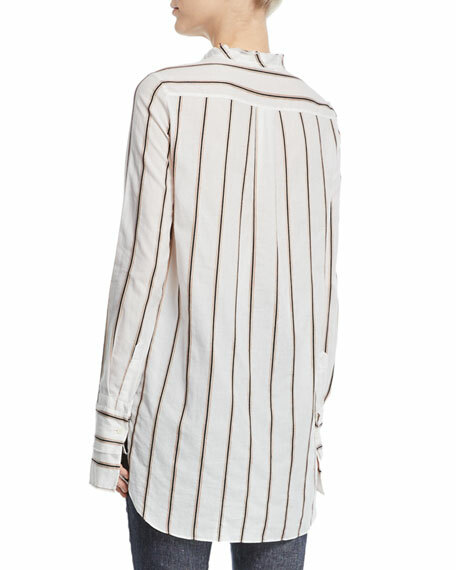 Shirttail hem. Cotton/nylon/spandex/metallic. Imported.